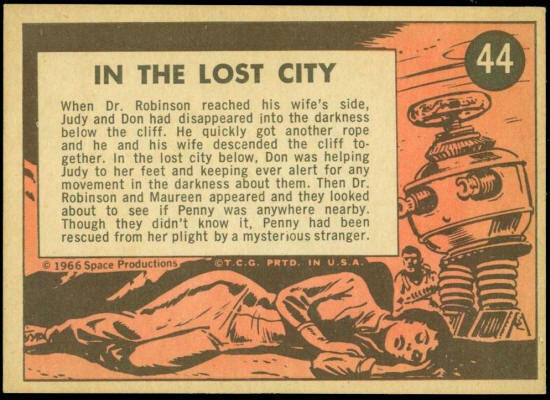 When Dr. Robinson reached his wife’s side, Judy and Don had disappeared into the darkness below the cliff. He quickly got another rope and he and his wife descended the cliff together. 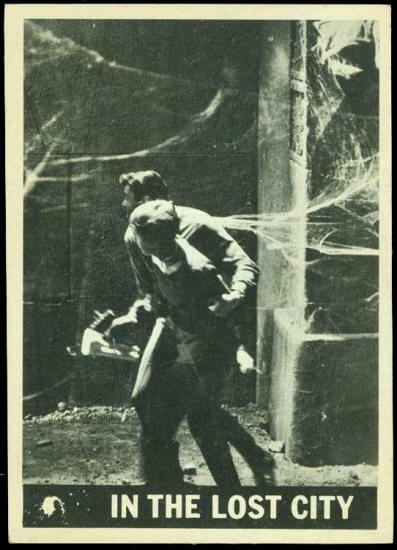 In the lost city below, Don was helping Judy to her feet and keeping ever alert for any movement in the darkness about them. Then Dr. Robinson and Maureen appeared and they looked about to see if Penny was anywhere nearby. Though they didn’t know it, Penny had been rescued from her plight by a mysterious stranger.